In this work of the Parking series I was struck by the explosive effect in the middle of the painting and by the red lines pointing that there is an empty place waiting for someone. The warm shades of orange, red and ocher have served to convey the sense of warmth I felt in seeing the lines and shapes that came to life. 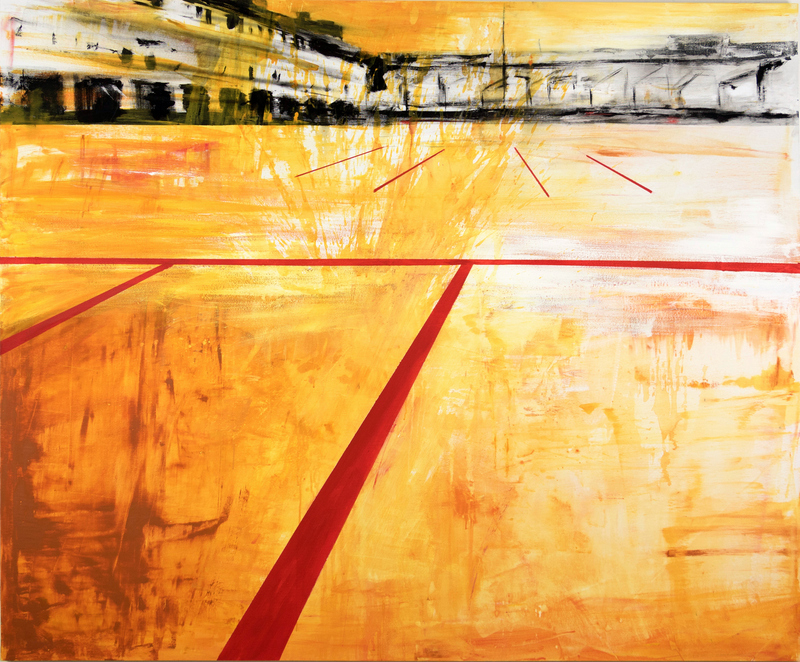 This new project on parking is also changing my way of painting, more focused on energy of color and the power of the gesture. A turning point, I hope more and more towards a growth of my work. Happy Monday and good week to everyone!